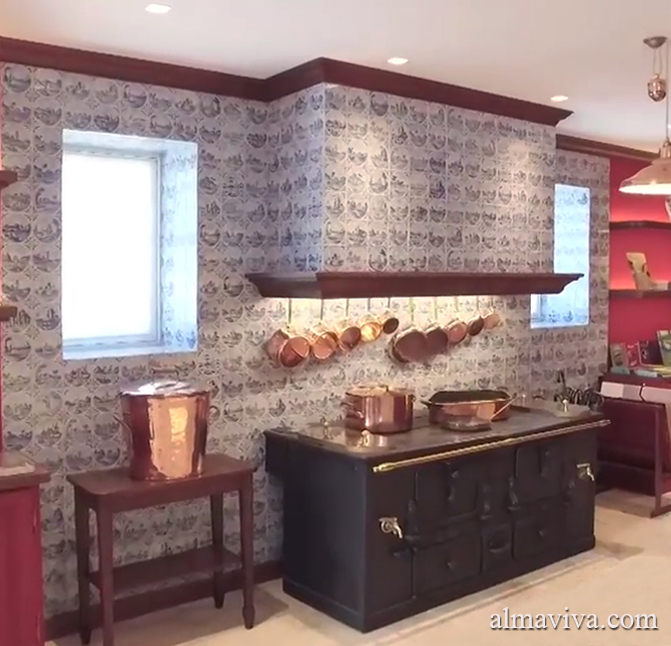 Almaviva is a Paris-based tile studio making Delft tiles, azulejo panels, and all sorts of handmade ancient glazed tiles. Our specialties include the artistic design and creation of Delft tiles and murals, azulejo panels, and Italian Renaissance majolica tiles. We also design and create medieval pavements, Iznik panels, and Islamic tiles, including zellige. We use only manual Renaissance techniques to produce tiles and ceramic art-pieces. The clay is stamped by hand and decorations are handpainted with natural oxides. We are artisans mainly commissioned tiles by architects and home designers. We often work for restoration projects since our production closely resembles ancient tile and old ceramic ware. Our tiles are used for every purpose: swimming pools, hammams and spas, terracotta floors, fireplaces, wainscoting, fountains, and, naturally, bathrooms and kitchens, for backsplashes, countertops, tabletops, etc. Using original 18th century moulds, we are also commissioned to make tablewares (plates, platters, tureens, etc.) with initials or coats of arms. We have also often produced copies of various types of apothecary jars: albarelli, canisters, theriaca jars, ewers, etc. Over the years we have gathered a vast image library of ancient tiles, tile murals, azulejo panels and majolica tiles of all periods. These archives are complemented by a further library of engravings, paintings, adornments, etchings, and landscapes. All of these are sources of inspiration that help us create new ceramic works with respect for ancient traditions. This beautiful property of the family of the famous impressionist painter of the 19th century has been restored in 2017. 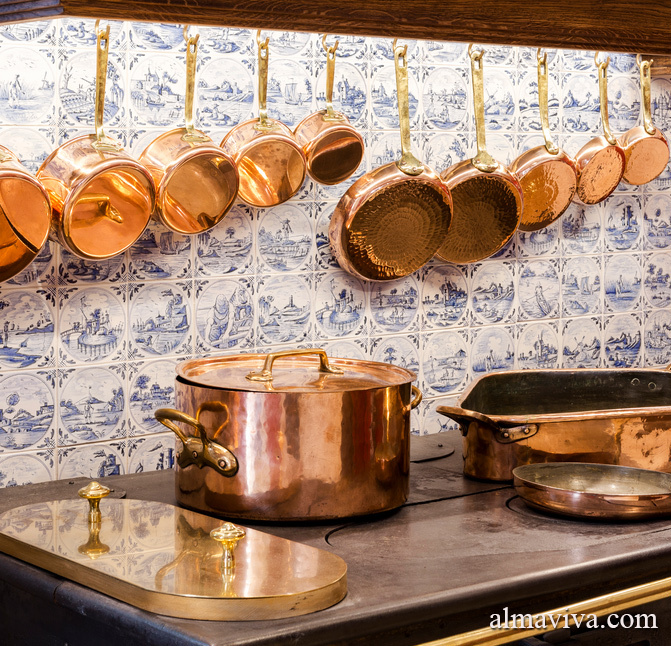 The Almaviva Studio produced the Delft tiles for the kitchen. By looking carefully, you will find, hidden among traditional landscapes, a few tiles with references to the park and reproductions of paintings of Gustave Caillebotte who lived in this estate.